Insurance Company Argues Motorcyclist At-Fault Simply for Riding a Motorcycle. We Didn't Stand For It. Keith was riding his motorcycle home from work when suddenly another driver pulled out in front of him and caused a collision. As you and I both know, motorcycle wrecks are very dangerous. Keith was knocked unconscious in the wreck and was rushed to the emergency room by ambulance. He spent five days in the hospital where he was diagnosed with a broken arm, broken wrist, broken ribs, terrible bruising and more. In total, his medical bills were $45,000. Unfortunately, the insurance company seemed to think some of the accident was Keith's fault simply because he was riding a motorcycle. It's an argument we see again and again, and one that never fails to make me angry. Why should insurance companies discriminate against motorcyclists? How did Keith have anything to do with the wreck? He was headed home like he did every day and following the rules of the road - the other driver was the one who wasn't paying attention. We used the defendant's deposition against them, constructing Keith's case with careful attention. We had to make them see that what they were arguing was wrong. Keith was a victim in an accident. He deserved to be compensated. In the end, we successfully settled the case for $150,000. 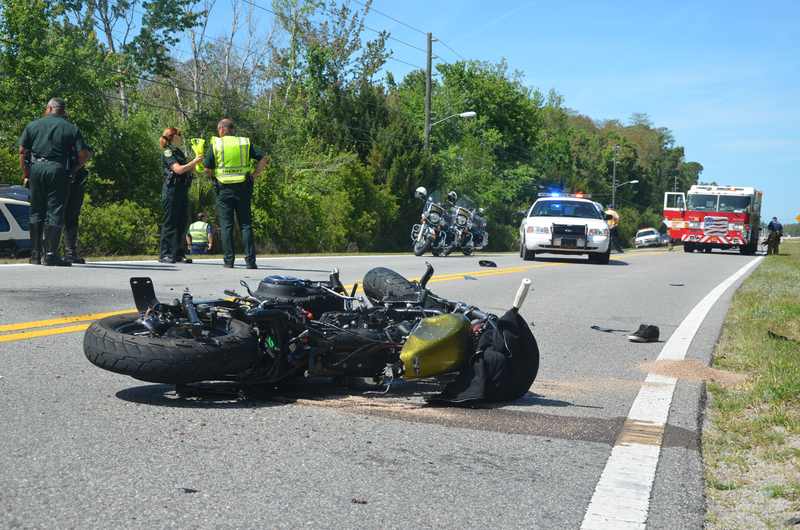 Hurt in a Motorcycle Accident? Learn how Personal Injury and Wrongful Death Attorney Mark Anderson can help.